It was another quiet weekend for most of the Leeds loanees. Fede Bessone is still suffering with a hamstring injury so again didn’t feature for Charlton as they were held to a draw by Tranmere thanks to an Enoch Showunmi goal. Aidy White was an unused sub for Oldham which seems worrying considering the bright start he made and the Latics recent poor run – not scoring in their last six games. Opinion amongst fans seems to be divided on his exclusion from the starting line-up. Youngster Will Hatfield was also an unused sub for York City, despite recently extending his loan deal. 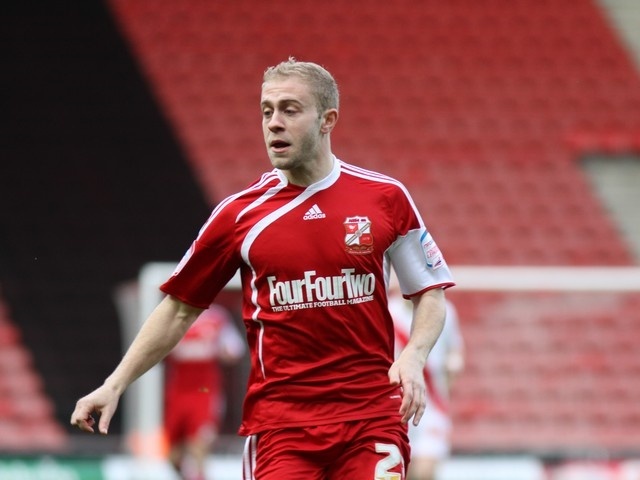 Mike Grella kept his starting place through the recent managerial change at Swindon and played 90 minutes in his home debut but was unable to get his first goal in their 0-0 draw with Walsall. Reports seem to suggest that Grella was predictably energetic and keen to impress but often took the selfish option rather than passing to team mates. Despite this, opinion from Swindon fans on Grella seems quite positive, the belief being that he has so far had to create his own chances due to a lack of support from midfield and that, after going close a few times today, he’ll surely find the net soon. Tom Lees again played 90 minutes for Bury, helping the League Two side to another clean sheet in their 3-0 win.